Last weekend we spent some much needed time in the Colorado summer mountains. Particularly the Copper Mountain area. We spend a lot of time in the winter in the mountains, snowboarding, but really need to be better about coming up for the summer. It’s beyond beautiful, and the mountain towns have so many fun events going on. Head here to save $20 off Summer Season Pass ($109) or save $10 off a Summer Day Pass ($49). 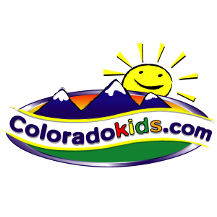 You can also save $2 off a Summer Activity range ($12-$15) Visit Coppercolorado.com for information. Here’s our re-cap of the day in Copper! Our view on the top of Copper Mountain. We took the kids on the chair lift ride! Let me say, taking a toddler on a ski lift is a little nerve-wracking but nonetheless very fun! We were able to get both kids on the bumper boats! Jon is in this stage of not looking at the camera…here he is looking down when mama says say cheese. He’s waiting to get on the bumper boats! Someone’s a little anxious for her turn on the bumper boats…. After the boats we headed down to the go-carts. I haven’t done go-carts in years! I forgot how much fun it is. Here I am smokin’ everyone on the track with a 4 year old next to me! I won…of course. AND I was brave enough to do the bungee jumping! Here I am…WAY up in the sky jumping. (Totally something all adults should do! This isn’t just for kids!) They call it the super bounce so ask for it! My husband got to do the zip line. I didn’t have the right shoes on, so make sure you’re wearing closed toe shoes if you plan on doing the zip line. We also went on a weekend when there was a music festival going on. So not only did we have a blast, we got to listen to some free live music! 4) Summer Family Friendly Events Galore- including Mac and Cheese Fest and Copper’s Gone to The Dogs- and more. If you don’t get to make it this year, this needs to be on your must do list for next year! Copper is a great time year round…I can vouch for that!